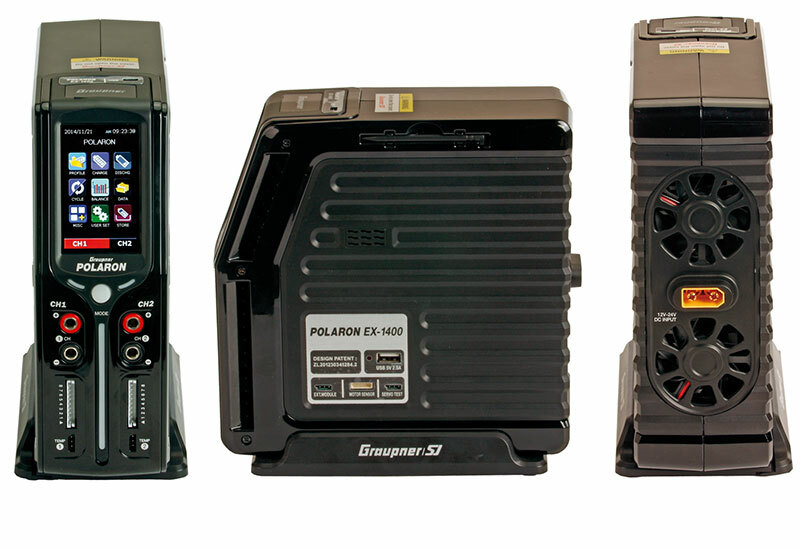 The new POLARON EX-1400 charger may well be the last charger you will ever buy. 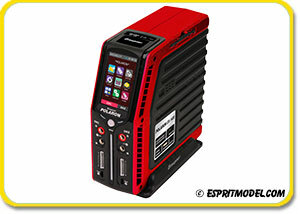 With 2 channels providing up to 700 Watt at 8S each, the EX1400 is the most powerful charger ever made by Graupner. Totaling 1400 Watts of power and packed in a compact case with a color and touch sensitive 3" TFT screen the EX-1400 is easy to store and easy to use. All controls are easily accessible from the touch screen requiring minimal user input to safely charge almost any type of battery available on the market. The EX-1400 supports the newly HV type of LiPo batteries and through regular firmware updates the EX-1400 charger can be easily upgraded with new features by the user. 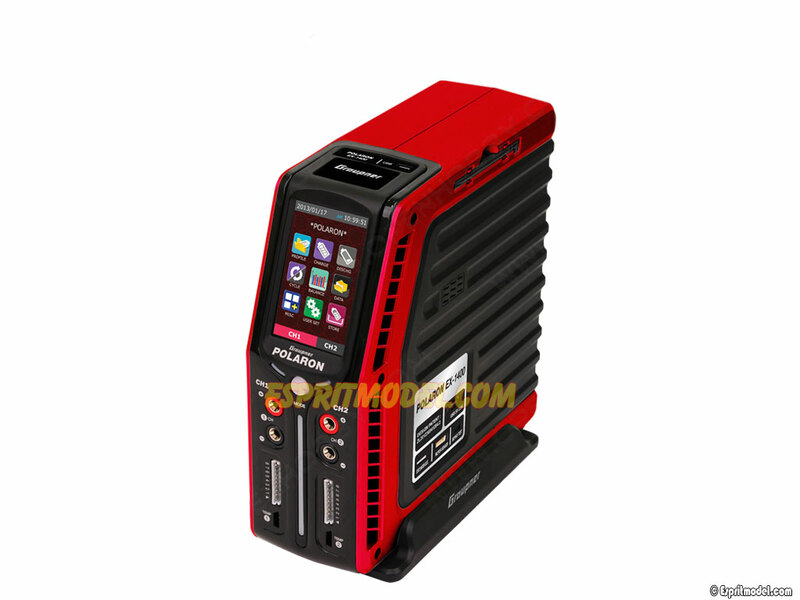 Additional features include internal cell balancers, high contrast, touch sensitive, color LCD displays and important warning and safety functions. Designed with a stylish space saving, vertical case, the Polaron EX offers pro level drivers and pilots the most powerful dual-port charging capacity on the market. When you are useing Polaron EX-1400 Series Chargers with HV (High Voltage) LiPo Batteries, please set the charging voltage at 4.35V per cell. 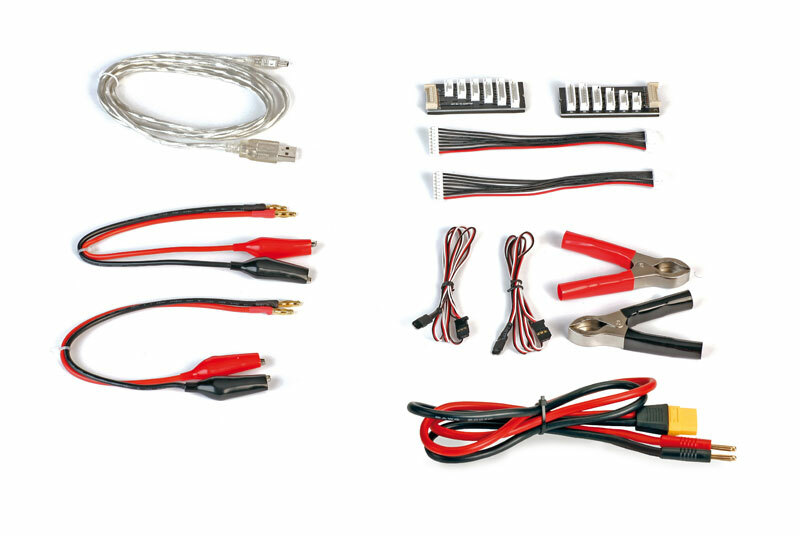 When charging Standard LiPo Batteries, set the charging voltage at 4.2V per cell.